Of course, it is always best to get the vital nutrients your body needs from fresh, whole food sources. Unfortunately, unless you have your own farm, garden, or participate in a co-op that has the freshest produce, getting 100% of what you need will be virtually impossible. Sadly, many of the foods we eat (even minimally or unprocessed ones) lose a portion of their nutritive value from the time they are harvested until they make it on our plates. Luckily, all hope is not lost. It doesn't matter what miracle oils, conditioners, butters, pomades, and treatments you put on your hair - without proper nutrition, they mean nothing for your hair. There are plenty of vitamins, herbs, and supplements that can be taken to well, supplement your diet and promote healthy, strong hair growth. Check out these healthy hair must-haves and take advantage of all they have to offer! When most people first look for a vitamin or supplement to work on hair growth from the "inside" out, they are pointed in the direction of Biotin. Biotin aka Vitamin H supports the growth and strengthening of healthy hair and nails. Biotin helps stimulate the hair follicles, promoting growth while also strengthening the cortex of the hair and inhibiting the enzymes that cause hair loss. Beyond beauty benefits, Biotin is also beneficial in metabolizing fats and amino acids (energy production), as well as stabilizing blood sugar levels. If you need a gentle pick-me-up, Biotin is a beneficial booster for both body and hair! Typically relegated to the section of the health store related to joint health, MSM really shines when it comes to hair growth. In fact, it has been proven to lengthen the growth (anagen) phase of hair! The life cycle of your hair consists of 3 phases: growing, resting, and shedding. A longer growing phase (before resting and shedding) means longer hair. As far as health benefits, MSM provides the essential sulfur foundation that the body needs to form proteins and connective tissue. It also helps synthesize and activates vitamins, and maintain the immune system. MSM is helpful in relieving swelling, inflammation and pain. Omegas burst on to the scene as fatty acid powerhouses that can ease a number of bodily ailments and issues. Omegas 3, 6, and 9 also pack a powerful punch for the hair. Omega 3 in particular has the most benefits when taken internally. Omega 3 helps improve hair elasticity, nourish follicles, increase hair strength and thickness, improve dry/flaky scalp, and improve scalp circulation (leading to stimulation and growth). Even more exciting, Omega 3 can help re-start hair growth, and reverse or prevent hair loss! Vitamins A and E are antioxidant powerhouses that can do wonders for the hair (and skin too). Both vitamins are critical to skin regeneration – and for healthy hair, you need a healthy scalp, and the scalp is…skin! Vitamin A supports skin health and repair, which is great for those who suffer from dry scalp, psoriasis, dandruff, eczema, or seborrehic dermatitis. Additionally, Vitamin A helps soothe irritated scalps, and aids in sebum production (your scalp’s very own conditioner). Vitamin E supports healthy hair growth, and is believed to help prevent hair loss. 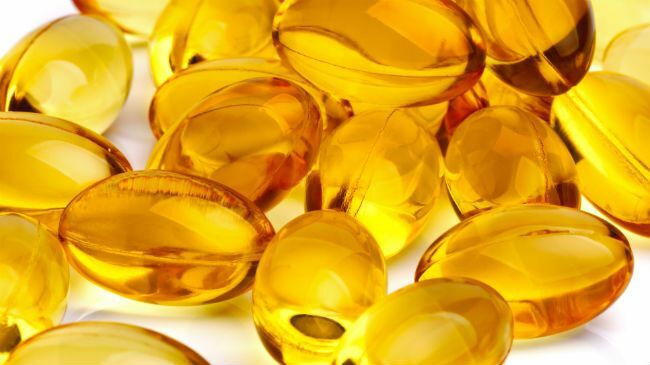 When combined with fatty acids (like Omega 3), Vitamin E acts as a preservative, preventing free-radicals from eliminating vitamin effectiveness. Of course, anything with antioxidant and free-radical fighting properties is going to help fight signs of aging within the hair and body! I know, you are not a plant. Neither am I. But with all of the juicing, smoothie-ing, and wheat grass shooting going on, the green goodness is gaining popularity. Chlorophyll itself is full of vitamins and nutrients beneficial to the body and hair, most of them having healing and detoxifying effects. In particular, chlorophyll helps stimulate and support the circulatory system which of course, stimulates the scalp as well, encouraging hair growth. There have also been documented cases of chlorophyll (wheatgrass) helping to completely reverse certain types of alopecia within a year. Note: I am not a licensed medical professional. Please do not take my advice as a prescription for any supplement. As with anything, check with your healthcare provider first.